Why a tutorial on scatter and displacement? When I started using Octane Scatter, my intent was to make landscapes. I tried to scatter trees on a displaced surface and found out that the instances did not align properly with the terrain. A quick search showed me I was not alone to have this issue. Unfortunately, neither the standalone nor the C4d versions of Octane Render documentation had any information on the scatter object. I finally found the solution and decided to publish it here. 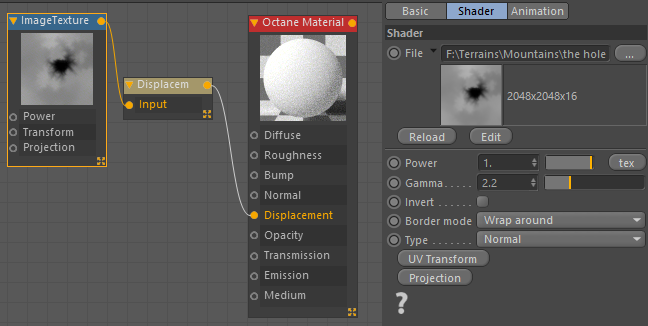 I have included full instructions that use the Octane node editor. They are based on the C4d plugin (as you will see from the screenshots). Create a simple plane (not an infinite one) and size it at your liking. Open the Octane node editor. Create a displacement node and an image texture node. 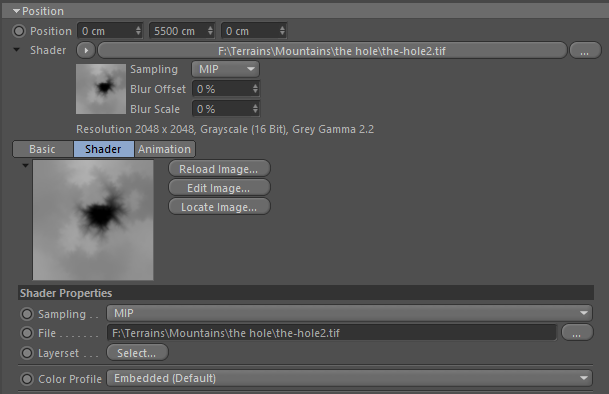 Link the image texture to the displacement node, link the displacement node to the displacement channel of your material. Click and drag your displacement texture on the ImageTexture node.The size and color depth of your map appear in the info area. Click on the displacement node. Choose a displacement value. 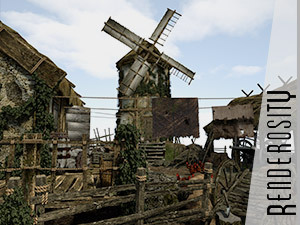 Match the level of details to the map size. 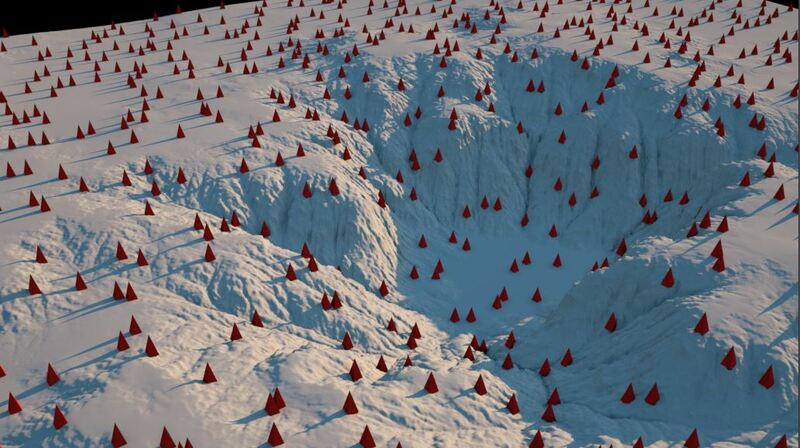 Examine your terrain. Depending on your map source, you are likely to have ugly artifacts on the sides. To solve this, create a transform node and link it to the transform connector of your texture map. Edit the transform node. Select lock aspect ratio in the size controls. Adjust the size to something like 1.001 or increments such as 1.002. This should make the artifacts disappear. Do not chose values such as 1.1 as it will alter your map size. First, create an object to be scattered. Create the Octane scatter object from the menu. Scroll down to the position parameters. 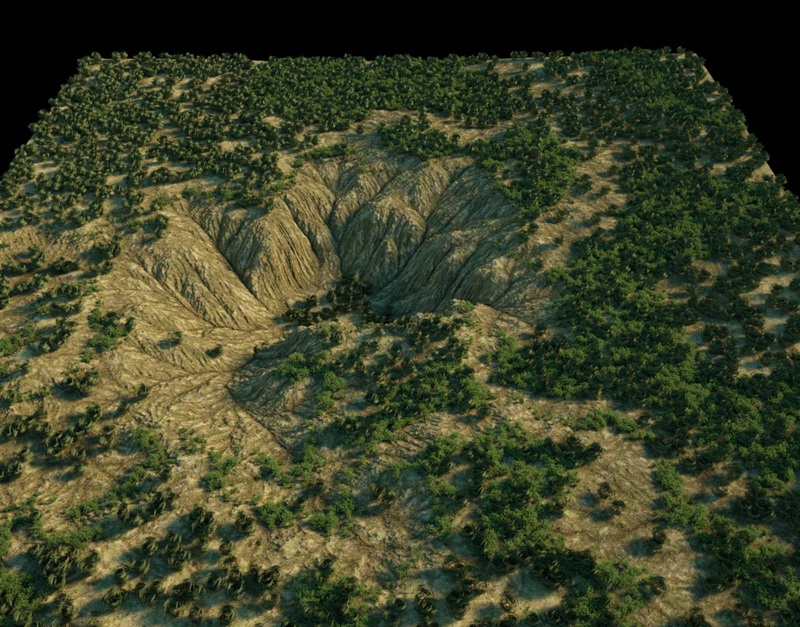 Choose your displacement map as a shader. In the Y value of the position parameter, specify the same amount of displacement as in your displacement node. Change the color profile from embedded (default) to linear. You are now ready to add your object to the Octane Scatter. The instances should line up with your terrain. The objects align according to their axis center. Move it to adjust their position. Do not place it at the very bottom or they may float above your terrain.